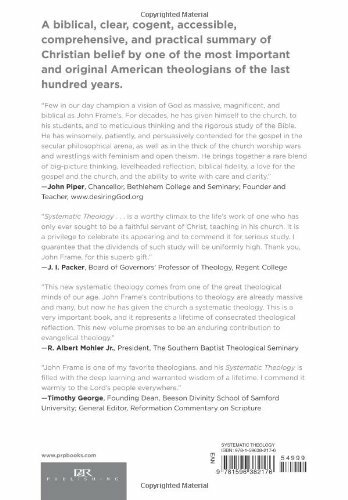 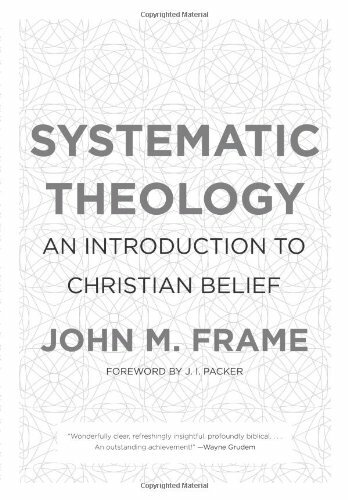 Systematic Theology is the culmination and creative synthesis of John Frame's writing on, teaching about, and studying of the Word of God. This magisterial opus at once biblical, clear, cogent, readable, accessible, and practical summarizes the mature thought of one of the most important and original Reformed theologians of the last hundred years. 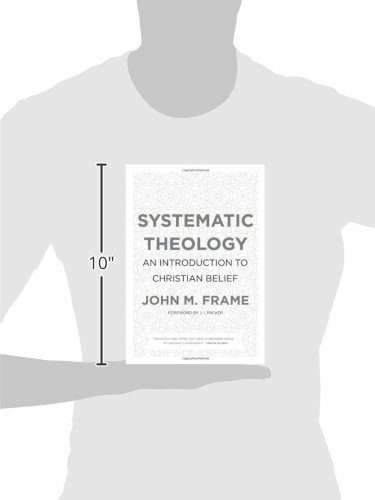 It will enable you to see clearly how the Bible explains God's great, sweeping plan for mankind.